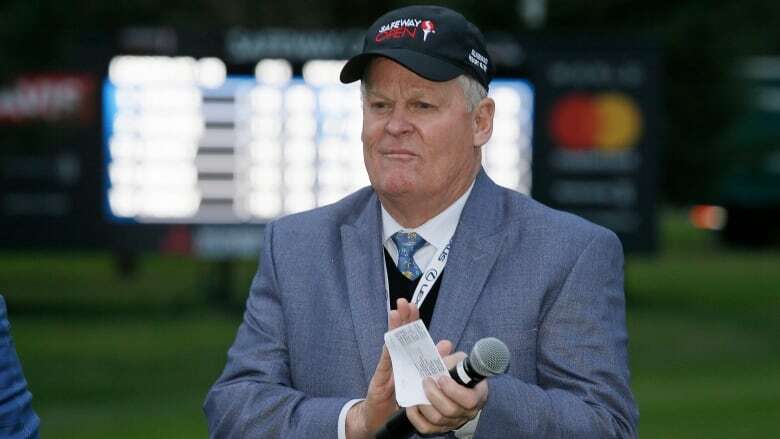 Longtime golf analyst Johnny Miller will climb into the booth at No. 18 for the final time Saturday, calling the action for the third round of the Phoenix Open before hanging up his headset. 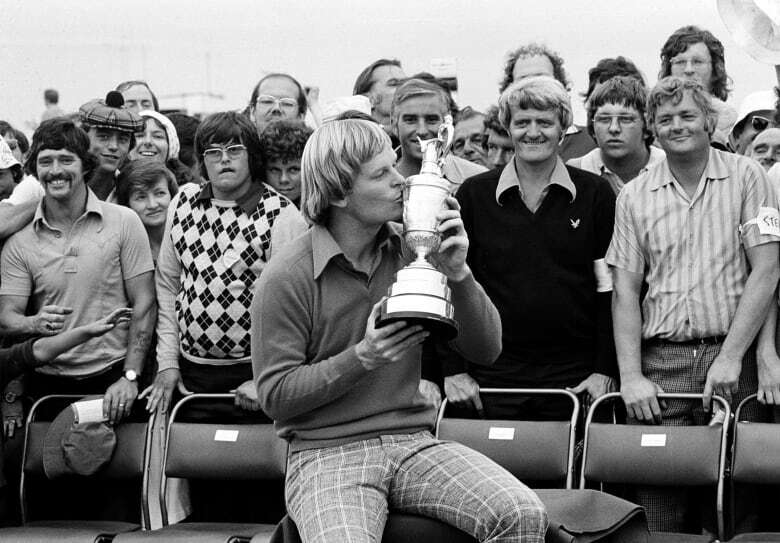 Johnny Miller followed a Hall of Fame playing career by making a name for himself telling it like he saw it on TV. His second career nearly derailed before it started. "I thought I'd give it a try and then I quit after the first day," Miller said Friday at the Phoenix Open. "It was like, holy mackerel, what have I got into? I'm not an announcer, I'm a player. They said, it would be good if you could at least finish the tournament, you know?" Three decades of holding nothing back later, Miller is set to call his final round as a golf analyst. Miller will climb into the booth at No. 18 for the final time Saturday, calling the action for the third round of the Phoenix Open before hanging up his headset. The 71-year-old is walking away to spend more time with his family and picked the Phoenix Open for his finale because of his affinity for the tournament where he won twice and earned the nickname the "Desert Fox." Miller chose a tournament early in the season to avoid butting up against the FedEx Cup playoffs and will go out on Saturday in case the Phoenix Open goes to a playoff on Sunday, which wouldn't allow him to say a proper goodbye. "Sort of an interesting time mentally what I'm going through," Miller said. "Part of me is like the last day of school before summer break and I'm free, I can do anything I want. It will be interesting to see when the spring Florida swing comes along. That was always the start of our season and I'm probably going to have some nostalgia there, but I'm a big believer in there's a time and a season in everybody's life for different things." The first part of Miller's golf life came as a player, where he made a name for himself with a flag-seeking, hard-charging style. He shot a 63 at Oakmont during the 1973 U.S. Open in one of golf's greatest rounds and had 25 PGA Tour wins during a Hall of Fame career. Miller's move to the booth came in 1989, when his putting had become shaky and his heart wasn't into the dedication it takes to compete at a high level. He planned to sort of fade into the background, play a few tournaments here and there, and essentially retire without telling anyone. That changed when he got a call from NBC's Larry Cirillo, who told Miller that Lee Trevino was headed to the PGA Senior Tour (now PGA Champions Tour) and asked if Miller wanted to take a crack at announcing. "Instead of saying something, I said, 'What makes you think I could do that job?"' Miller said. "So I said, no, I'm not interested in that at all. No way." Later realizing the rare opportunity, Miller decided to give it a shot. After nearly aborting his broadcasting career just as it was getting started, Miller created a name for himself by holding nothing back. If a player hit a bad shot, Miller would say it without worrying about the consequences. If he thought a player was choking, he'd say that, even if it had previously been taboo in golf announcing. "The public wants to hear the truth," Miller said. "We're in a PC mode and people are afraid to tell the truth, tell what it really is and they're starving for it. I said a couple of times that I take off their clothes, but I leave their underwear on." Miller was in the 18th tower at every U.S. Open from 1994 to 2014 until the USGA awarded the rights to Fox Sports in a 10-year deal worth an estimated $1 billion. He also called 14 Ryder Cups, from the stirring matches at Kiawah Island in 1991 to the European victory last year in Paris. NBC is televising this year's Phoenix Open because CBS has a conflict with the Super Bowl, giving Miller one final chance to work the booth with partner Dan Hicks. Asked about Miller's many quirks, Hicks mentioned he likes to "mainline" Cheez Whiz and worked nearly half of their 232 golf events together in his bare feet. "It's tough because when you're with somebody for this period of time ... we sit down in that booth and it's like an old shoe, riding a bike," Hicks said. "That tower is never going to be the same and that is the hardest thing to come to grips with personally."